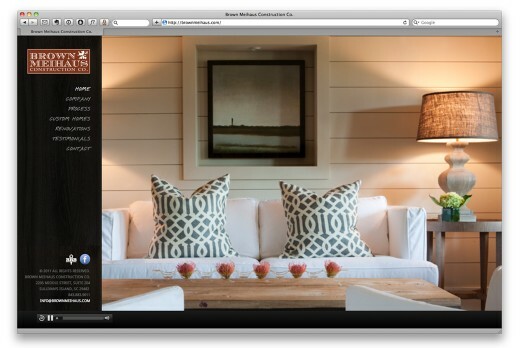 Brown Meihaus Construction is a high-end custom home builder on Isle of Palms, SC. Jay Brown and Andy Meihaus approached Studio Seven with a challenge: redesign their existing Flash website using HTML5 and CSS 3 web standards, but keep the interactive, modern look to the site. They love what we came up with. The new site is a full screen portfolio site that works well on desktop computers, tablets and mobile devices. We are currently working on updating their logo and business stationery for them.